MerchACT has worked in the ‘high risk’ sector for almost 15 years. 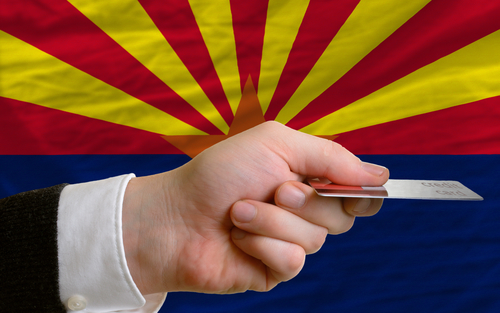 We cater to Arizona high risk payment processing merchants who have been dismissed or terminated by traditional banks due to the nature of their business. Merchants are deemed ‘high risk’ by traditional banks because their business model, strategies, and tactics are outside-of-the-box. As a result, merchants in need of Arizona high risk payment processing capabilities have extreme difficulty getting placed by these banks. The alternative is working with a merchant services provider that understands the high risk segment. Unfortunately, many payment processors that claim to specialize in high risk merchant services are just masquerading. As a result, merchants get caught up in “bait-and-switch” schemes that end up costing thousands or hundreds of thousands of dollars in the long run. MerchACT cuts to the chase and offers some of the lowest payment processing fees in the industry – for the long haul. We are able to offer these outstanding rates because we work with banking institutions that understand the high risk market and are open-minded about the merchants with whom they work. Their risk tolerance is higher than a traditional bank and they understand some of the misconceptions that traditional banks don’t. Fraud and chargebacks are a bane to high risk merchants, who tend to experience them at higher rates than other industries. MerchACT has created tailored solutions to address these issues for our high risk merchants. We manage our secure transaction portals in-house to quickly and thoroughly address and fraud and chargeback issues that arise. Not only can we reduce instances of chargebacks, but we can help you create a roadmap and strategy for minimizing chargebacks altogether. We work with you to implement customer service best practices alongside best-in-breed fraud prevention tools to optimize your transactions and maximize profits. Many of our clients are high-growth startups, direct sales or MLM merchants that require customized transaction processing solutions that can accommodate high and fluctuating volumes. While it defies the logic of running a successful business, many traditional merchant services providers implement volume caps on high risk merchants, which can negatively impact sales and growth. MerchACT works in tandem with your business to ensure future growth while maintaining a stable merchant account. MerchACT works with high risk merchants who need Arizona high risk payment processing capabilities, but we also help those merchants expand their business overseas. We partner with businesses across the globe, providing secure payment portals and end-to-end guidance on conducting commerce overseas. We help our clients maximize profits by optimizing currency options and gaining and understanding of international processing options. MerchACT is your partner in payments. Whether you are a startup or long-standing business, our team works with you to thoroughly understand the ins and outs of your business model and we create a strategic plan to help you streamline your payments. We work with you as an extension of your internal team, helping to address chargeback issues, PCI compliance, fraud prevention, risk mitigation and any other payments issues that arise. In addition to Arizona high risk payment processing solutions, our experts advise on the full spectrum of payments considerations. We augment your internal resources so you can focus on the core business – and growth. We can be active and involved in payment processing as little – or as much – as makes sense for your business and your comfort level. Each client we work with is different and we work diligently to tailor solutions to meet each business’ individual needs. MerchACT makes the perfect partner for merchants in need of Arizona high risk payment processing. Our tailored solutions and services are the best in the industry and we work with businesses of all types and sizes. We can help your business grow while maintaining streamlined and secure payments operations.